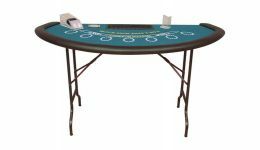 Casino Game Supplies carries folding blackjack tables that are easy to store. 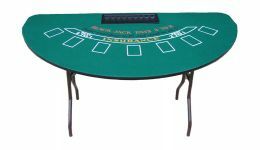 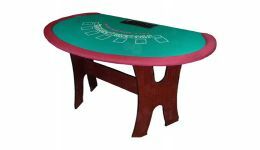 Some of our folding blackjack tables can be customized. 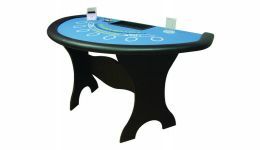 We also carry protective covers.